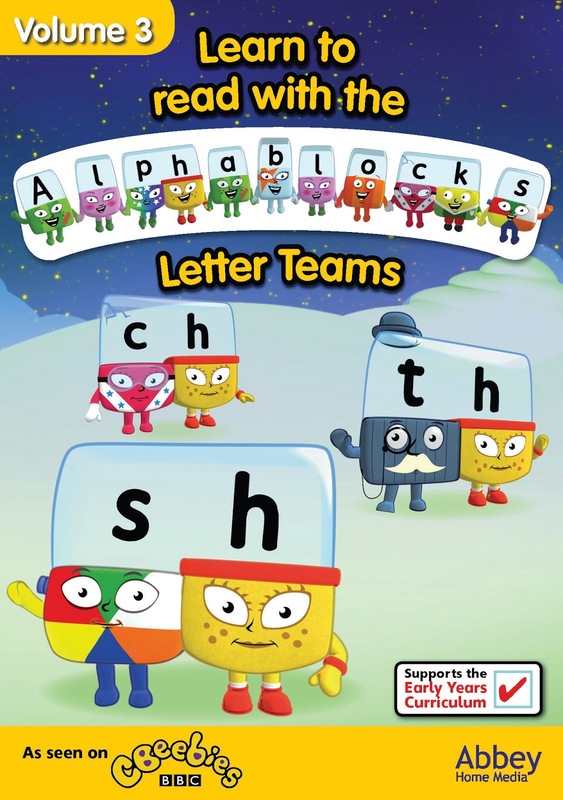 Abbey Home Media have kindly offered to giveaway 3 copies of Alphablocks Letter Teams Volume 3 to readers of this blog. To have a chance to win a copy for yourself, please enter using the Rafflecopter below..
i like A cos it is ACE! I like t - not sure why! I love k because I love the term 'kicking-k'!!! T cause he's always tutting!!! 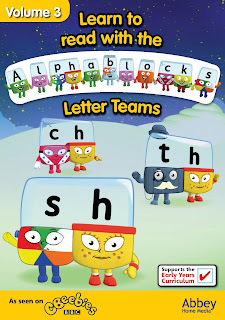 Not sure its my favourite but I'm having to spend alot of time on sh with my son! My son loves R as he loves pirates and he loves making the noise. We like "O" especially the deep "O" when they are singing the quick brown fox jumps over the lazy dog! M is my favourite as he mmmmmms when he sees something yummy to munch on .... much the same as me! The letter E is good for the magic E episode.